FLOR teamed up with award-winning interior designer Robin Wilson to present a series public appearances. 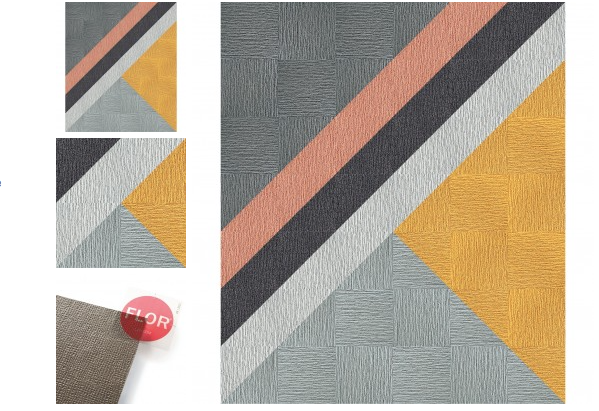 As a part of FLOR’s Design Challenge 2015, contestants meet Robin at local FLOR locations, design their dream rug, share their designs via social media and Robin selects finalists to be entered for a chance at winning the grand prize contest. Robin Wilson hosted her book signing parties in Soho New York, Washington, D.C. and is heading to San Francisco Friday, June 19. Wilson’s book Clean Design: Wellness for Your Lifestyle offers tips and examples of how to execute a design project using her four principles – sustainable, recyclable, hypoallergenic and nontoxic – and encourages readers to create a healthy home without sacrificing style. Wilson credits eco-home brands such as FLOR, Kohler, Mitchell Gold + Bob Williams, Clean Bedroom, Consentino and Panasonic Home, among others, as she pens the ideal manuscript for eco-friendly decorating alternatives.